Finance for $656 per month at 2.9% APR for 60 months with $4,062 down payment. Payment expires on 04/30/19. Estimated Finance payment based upon 2.9% APR for 60 months, with a down payment of $4,062. Excludes title, taxes, registration, and license fees. Some customers will not qualify. See your authorized dealer for complete details on this and other offers. Residency restrictions may apply. Finance for $665 per month at 2.9% APR for 60 months with $4,122 down payment. Payment expires on 04/30/19. Estimated Finance payment based upon 2.9% APR for 60 months, with a down payment of $4,122. Excludes title, taxes, registration, and license fees. Some customers will not qualify. See your authorized dealer for complete details on this and other offers. Residency restrictions may apply. Lease for $443/month for 39 months with $4,122 due at signing including $0 Security Deposit and 10,000 miles per year. Payment expires on 04/30/19. Estimated Lease payment based on 39 months and $4,122 due at lease signing. Cash due at signing includes $3,680 capitalization cost reduction, which includes $650 acquisition fee, plus a required security deposit of $0, and first month's lease payment of $443. Excludes title, taxes, registration, and license fees. Total monthly payments equal $20,935. Mileage charge of $0.25 per mile over 10,000 miles. Not all consumers will qualify. Residency restrictions may apply. Finance for $744 per month at 2.9% APR for 60 months with $4,607 down payment. Payment expires on 04/30/19. Estimated Finance payment based upon 2.9% APR for 60 months, with a down payment of $4,607. Excludes title, taxes, registration, and license fees. Some customers will not qualify. See your authorized dealer for complete details on this and other offers. Residency restrictions may apply. Lease for $488/month for 39 months with $4,607 due at signing including $0 Security Deposit and 10,000 miles per year. Payment expires on 04/30/19. Estimated Lease payment based on 39 months and $4,607 due at lease signing. Cash due at signing includes $4,119 capitalization cost reduction, which includes $650 acquisition fee, plus a required security deposit of $0, and first month's lease payment of $488. Excludes title, taxes, registration, and license fees. Total monthly payments equal $23,137. Mileage charge of $0.25 per mile over 10,000 miles. Not all consumers will qualify. Residency restrictions may apply. Class and elegance define the new ATS Coupe. Available at our Gulfport dealership, its magnetic ride control, and Brembo front brakes offer a smooth and peaceful ride. Advanced safety features, like ultrasonic sensors, radars, and cameras, will keep you safe on the road. We proudly present the new Cadillac ATS Coupe inventory at our Gulfport showroom. It will be love at first sight when you see this amazing vehicle at our showroom. It is designed to be lighter, more agile and more engaging than its competitors. The rear vision camera offered in this vehicle helps you park it in even the tight spaces. 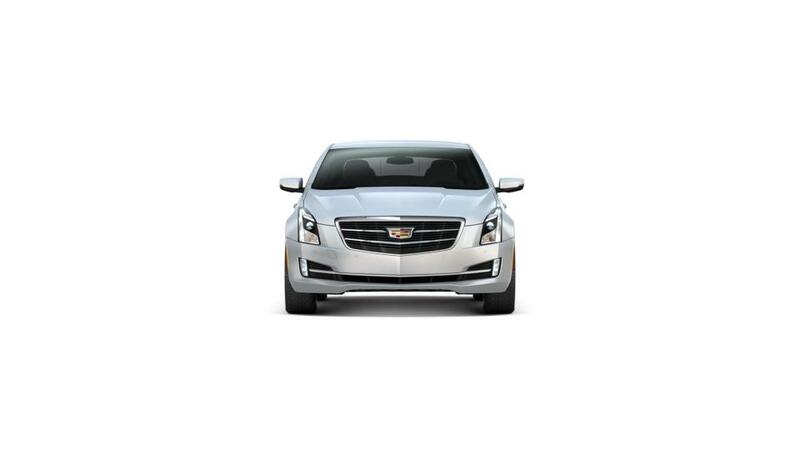 Driving around in the new Cadillac ATS Coupe on Gulfport roads will surely turn heads. We have a large inventory of new vehicles at our dealership. Contact us today and we will gladly set up an appointment. The Expert staff at our dealership will help you learn more about the new Cadillac ATS Coupe in Gulfport. Explore our website and we are sure you will find what you need. We promise to make your car-buying experience smooth and hassle-free. Give us a call to schedule a test drive of the new Cadillac ATS Coupe in Gulfport now.